It all started with marveling about the note H in the German musical alphabet and me being on the phone trying to spell something akin to Oachkatzlschwoaf (which means tale of a squirrel where I come from!). English is not my mother tongue. The way German is wired, we just don’t spell like they do here. And if we do, most certainly not in English. And the international phonetic alphabet with Alpha Bravo Charlie… is just so un-inspiring. So I decided to create the new Music Theory for the Bass Player Phonetic Alphabet and recruited Facebook for help. Here it is. If you find omissions, please continue to play in the comments! Thanks everyone for playing. 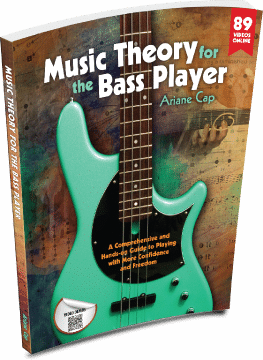 Music theory terms or bass terms okay. Excuse me – I hit a bad note! x and bacon after the gig!